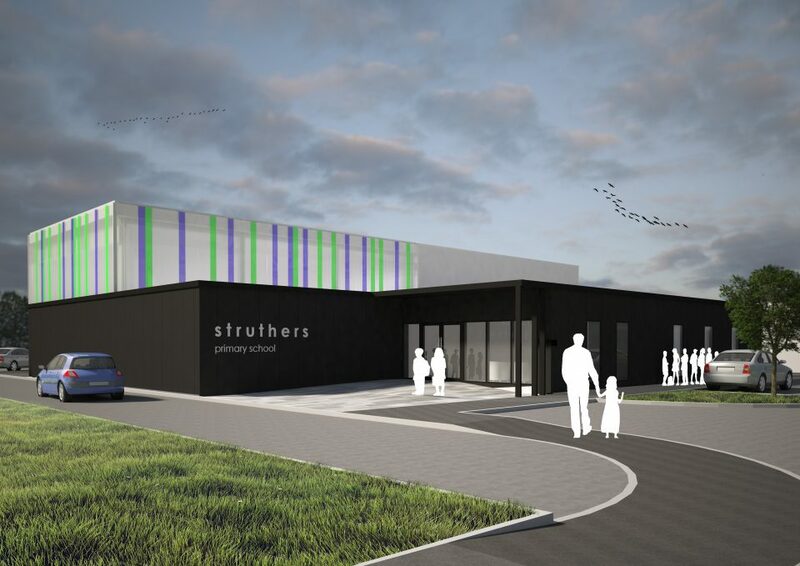 Planning Consent has been granted by South Ayrshire Council for an extension to Struthers Primary School in Barassie, Troon. The initial phase of work will be to create additional hall facilities for both dining and P.E and create a new entrance to the school as well as increasing some ancillary staff accommodation. The £1.8m extension, designed by LMA Architects, is situated directly to the north of the existing hall and provides a flexible and integrated space which will be multi-functional sports hall, dining hall, performance area as well as a school assembly space. The main entrance is also re-located to form a strong visual link from the car parking and the existing ancillary accommodation is re-arranged to create a larger staff room at the core and new office / admin areas. A new footpath link directs users to the new entrance “street” and not through the car park as previously. A drop off area and new parking is also formed, ensuring a more cohesive approach to traffic management and road safety. Construction is due to start on site in October 2018 and be completed for the new term in August 2019.